Summer is approaching – is this the year you replace your home’s air conditioner? Before you do, read up on our frequently asked air conditioning questions. Our cooling system pros address homeowners’ common concerns when it comes to air conditioning installation. Know the answers ahead of time and you’ll know what to expect when it comes time to make a purchase decision. When should I start thinking about air conditioning installation? The average service life of a central air conditioner is 10 to 15 years. So, if your home’s system is nearing, within, or beyond that range, now is the best time to start investigating your options. Planning ahead for air conditioning installation allows you to start looking into new equipment and qualified installers, so you find the best system for your needs and budget, as well as an installer who provides reliability and value. There is no definite price tag on air conditioner installation. The fact is, the price varies greatly, due to factors related to the equipment you select and your home. The average price for central air conditioner installation is $5,000 to $6,000. Now, what makes the price vary? The capacity of the system – smaller homes need smaller air conditioners, while larger homes need bigger ones. The bigger the system, the more it costs. The energy efficiency of the system – in general, more energy efficient systems cost more versus their lower efficiency counterparts. 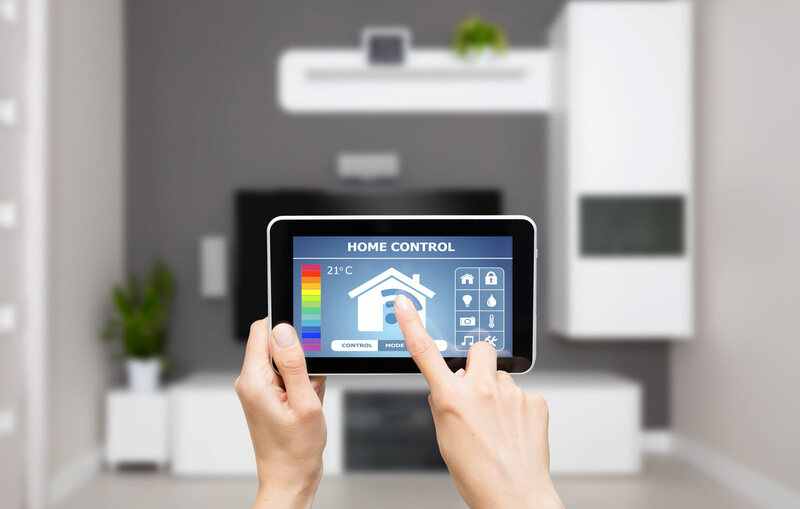 They utilize advanced technology to keep your home cool with less energy consumption. While their upfront cost is more, their operating cost is less when installed correctly. Your home – does your home have what it needs for your new air conditioner to operate properly? 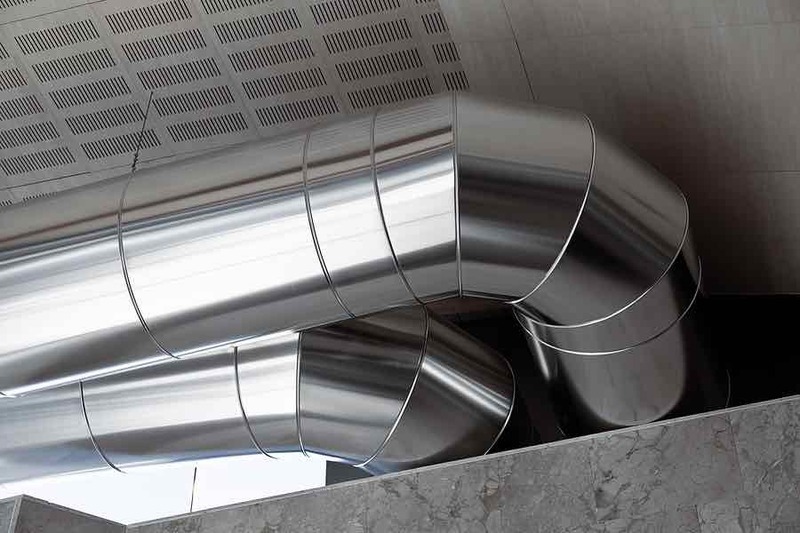 Duct repairs or new duct installation may be necessary, depending on the condition of your existing ducts. Upgrading thermostats and adding a zoning system will also increase the cost of air conditioning installation. Our “Air Conditioning 101” guide helps you choose the best air conditioner for your home’s comfort needs. Can I just install my new air conditioner myself? A new cooling system is a significant investment. Air conditioners are also very complex systems. Attempting to install your new air conditioner on your own can lead to a number of problems if you don’t know what you’re doing – not only can poor installation damage the system and hinder home comfort, attempting this complicated task yourself could put you in danger. Air conditioning installation is a job best left to the pros. But, you don’t have to wait for a contractor appointment to begin the process. Many contractors are using ecommerce to add convenience for their customers. Through your contractor’s online store, you can begin researching air conditioning installation anytime! You can even purchase new equipment and installation packages online – these will be performed by your qualified contractor. How do I find a contractor for air conditioning installation? Check out our guide “How to Prepare & Install Your HVAC System” to learn more about the importance of quality installation and how to select the right HVAC installer for your home. Instead of air conditioning installation, can I just repair my old one? Repair or replace is the big question homeowners face when it’s time for air conditioning installation. No one wants to spend thousands on a new unit when their old one is in good shape – but what if it’s not? Do you put money into repairing a system that could fail again, or invest in a new air conditioner that has a warranty? If the cost of repairs to your existing system is 50 percent or more of the cost of air conditioning installation, it’s best to invest in replacement. If your current air conditioner is 10 to 15 years old, it’s near time to replace anyhow. Air conditioners experience more breakdowns in their last two years of service – have you been spending more on repairs over the last few summers? Time to consider if your money is best spent on air conditioning installation instead of repairs. What benefits will I gain from air conditioning installation? When installed correctly, a new air conditioner delivers the reliable comfort your failing unit couldn’t. Aging systems lose efficiency each year – air conditioning installation gives you a new unit with much higher efficiency, which equates to lower energy bills. 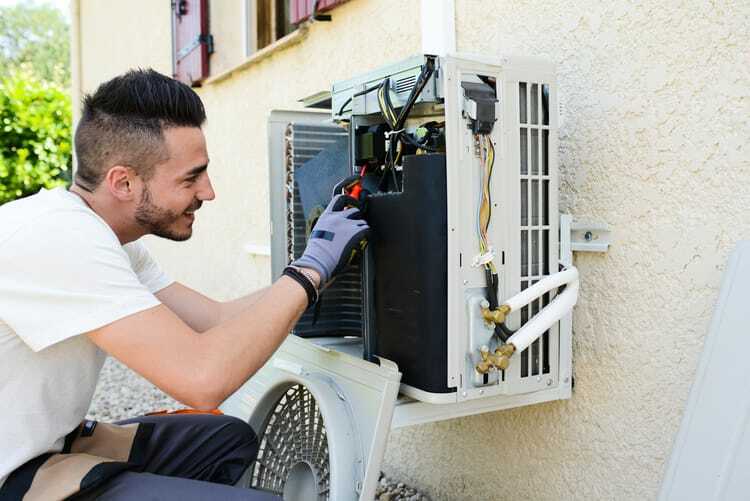 New air conditioners are backed by warranty coverage, which will save you money should repair needs arise during the warranty term vs. an older unit where coverage has expired. HVAC.com is here to help homeowners navigate their home’s heating and cooling systems. We offer a number of air conditioning installation resources and those on other household HVAC topics. If you have air conditioning questions, you’ll find the answers on HVAC.com. When it’s time for air conditioning installation, turn to a trusted local HVAC contractor for help. Use our HVAC Contractor Directory to locate a nearby HVAC company to assist you with your new cooling system needs.